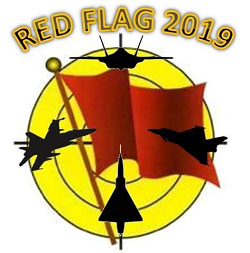 RED FLAG 2019 Is an Air to Ground campaign mainly focused this year on SAM avoidance and Precision strikes, while remaining undetected for as long as possible to enable deep penetration int enemy territory to take out strategic targets far behind the front line. This OP uses FSX@War with CCP, JoinFS and of course TacPack in order to fully immerse pilots, and provide additional challenges during missions. Images and video will be posted to Facebook - check them out! Want to see how much we dropped during a typical Air-Ground Operation? Have a look! 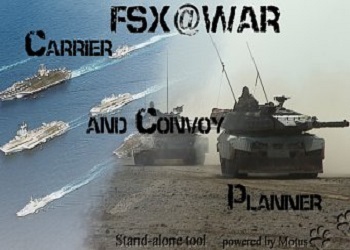 FSX@War and CCP are used for all of our Operations. 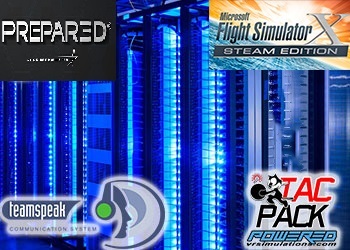 Add-ons to FSX@War and CCP are being integrated into our Ops. This provides our members with the leading edge in sim experience during Operations. Thanks to recent add-ons like FSCAI, we've upped the pressure on pilot skills, navigating the unfriendly skies! Missions force pilots to fly together in order to reach objectives, and utimately survive mission flights! We frequently create 2-4 Operations per year that involve multiple Squadrons for maximum participation. After Guardian Overwatch, we will be looking to take stock of lessons learned, in order to make the next Operation even better!